I will report March's summary using data I have today on April 12, 2017. The growth so far this Q1 has been high due to the growth in the market and bonuses or nonrecurring sources. I am currently ahead of schedule for 2017 so a market correction will be fine by me to scoop up better dividend yields. The goal of this portfolio is income replacement. I will one day use the passive dividend checks I receive every month from my various holdings to pay for my daily living expenses, whether it be housing or food or travel or entertainment. Everything will eventually be covered without me having to work. My plan is also to have this income stream grow independently without me having to contribute. 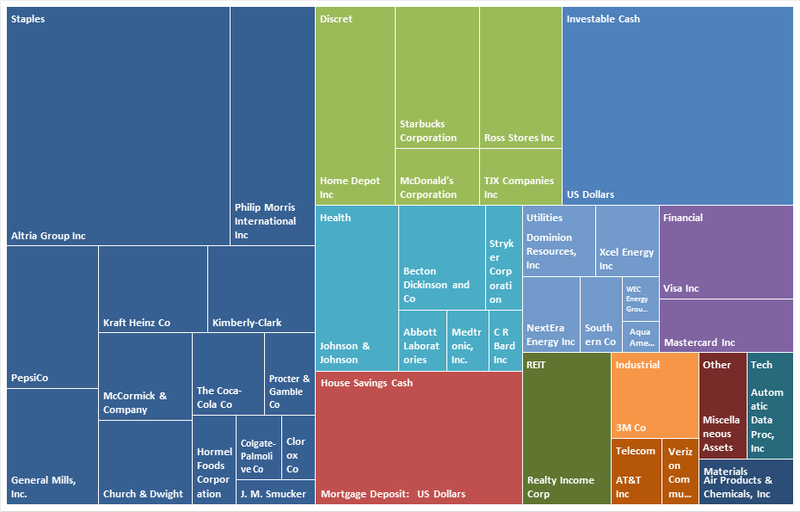 Each of these companies are expected to increase their dividend payouts year after year. And many of these companies have consistently done so no matter the economic environment. As of today, I contribute heavily into the portfolio month after month. Hence, most of the dividend growth is caused by my contributions. In the future however I expect the portfolio to grow the income by itself at a rate of 10% y/y with dividends reinvested (so a $100,000 income becomes $110,000 the next year and then $121,000 the next and $133,100 the next, and so on). I hold mainly defensive companies that provide products and services we use everyday no matter what. Whether we are unemployed, sick, or in a recession, people will likely buy products or services from the companies that I own. These are things like credit card payment services (Visa), toilet paper, food, water, electric utilities, off the shelf medicine, toothpaste, shampoo, and household/industrial cleaning products. This ensures that the companies can successfully pay their dividends safely every year. I am a technical professional working in the bay area. Before accounting for taxes, I strive to save and invest 70-80% of my income (before tax salary - living expenses) / (before tax salary). Since I am single and in my 20s (no mortgage or family finances yet), I am able to grind through and grow this portfolio very quickly. I think time is my most valuable asset, not so much the income I can generate. Compounding from investment income and returns is a much faster way to grow wealth I think than having a higher income once you factor in time. Compounding as a function of time is exponential while accruing income by spending one's hours is only a function of linear growth with time as the variable. So I tried to get started in investing right after I graduated from university. 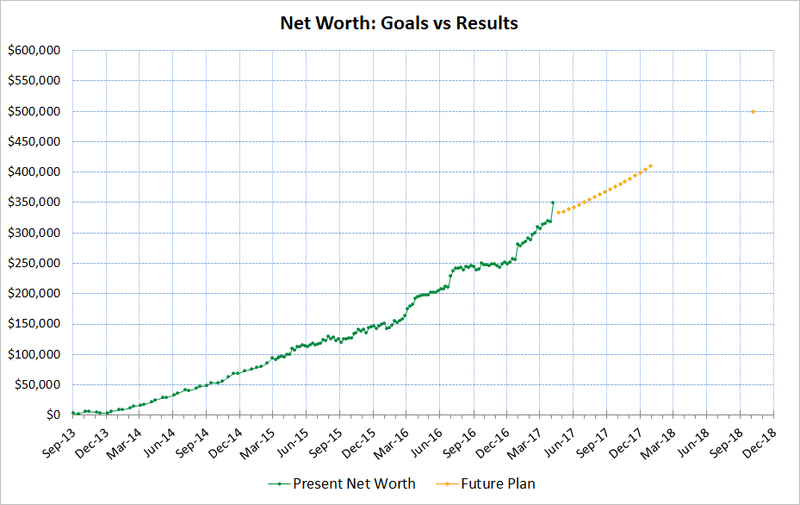 My goal is to reach $1,000,000 by age 31-33, depending on market fluctuations. By then the portfolio should be spitting out $25,000 in passive income every year or $2083 a month. 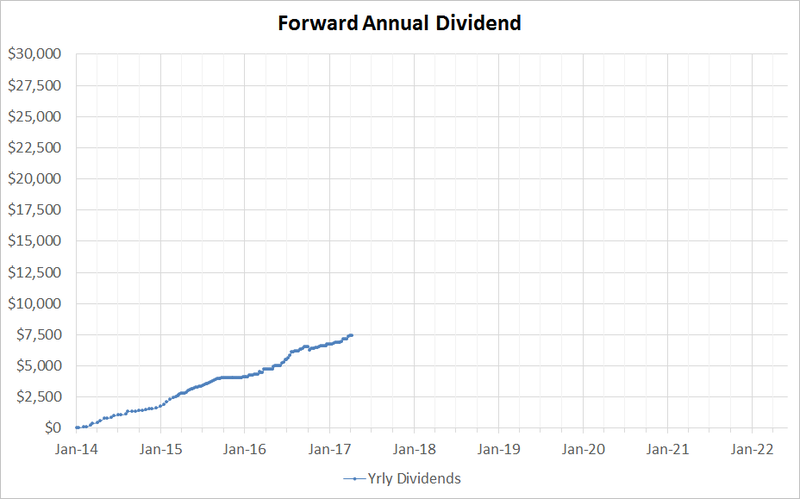 I expect this $1M portfolio to be able to passively grow the income at 10% a year with dividends reinvested, or ~$2500 for the first couple years after hitting $1M. The portfolio shown below has been the result of my work over a period of 3-4 years. I started from $0 and so far I am a third of the way towards my goal of $1M dollars. Currently my portfolio receives $7500 annually in passive dividend income. This number can be even higher if I did not have nearly $65,000 in cash. I plan to deploy more cash to boost my dividend income in the future, but deals are hard to come by in today's expensive market. This is one of the more in-depth analysis I have seen. Thanks for sharing all the details. Appreciate your thoughts on this. Great analysis! Always enjoy and learn something from your blog. I'm looking to add some utilities (probably just two) to my portfolio for low volatility high dividend stocks. I'm looking at ED & SO. From what I've been reading (Sure Dividends website as well as some others) these two look really good and I like them. I'm just curious why you don't have ED in your portfolio and why you chose the ones that you did, with D & XEL being your top two? Great and informative post & analysis. I like seeing your progress. My compliments for your grind and start at such a young age. I wist I had known about this when I was 10 years younger. Keep it up!